Login using your Buytasker account. Businesses can hold up to 25 Virtual Currency Accounts and pay to over 150 worldwide Currencies. 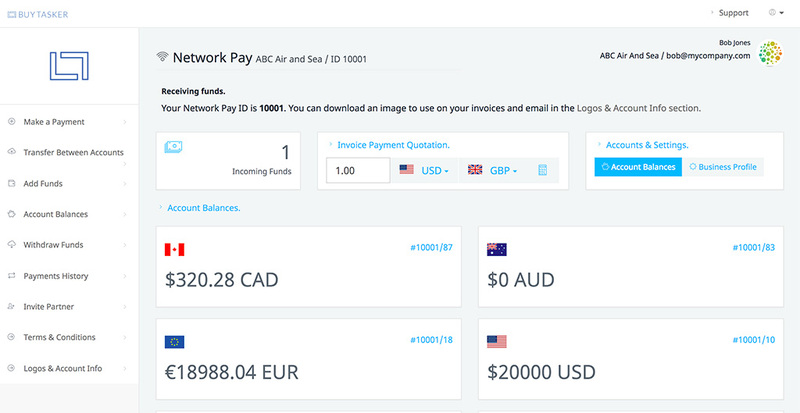 Network Pay™ offers extremely competitive Exchange Rates and no Account Transaction Fees. To reset your password, enter the email address you use to login to your account.